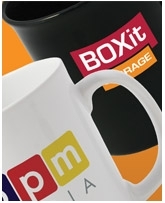 Home Categories Close Out Deals & Special Offers SPECIAL OFFER - Free single colour set-up charges on mugs! For all orders received before the end of September 2017 for our range of ceramic mugs we are pleased to offer a FREE screen on all orders! This means no set-up charges for single colour designs or for a two colour print you only pay for one, either way you can't pass up this offer! Please note that a minimum order of 108 units applies and offer code FMP0930 must be quoted at time of order.